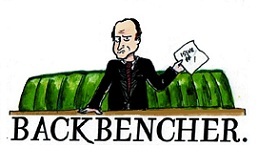 The Backbencher – Good PR on The Falklands is crucial to Argentina’s failing Government. Good PR on The Falklands is crucial to Argentina’s failing Government. An economy without growth, a labour market without jobs, and accusations of corrupt government figures; is there any wonder Argentina is so obsessed with the Falklands? Last week, for the first time in fifteen years, a cabinet level Argentinian politician visited the UK. 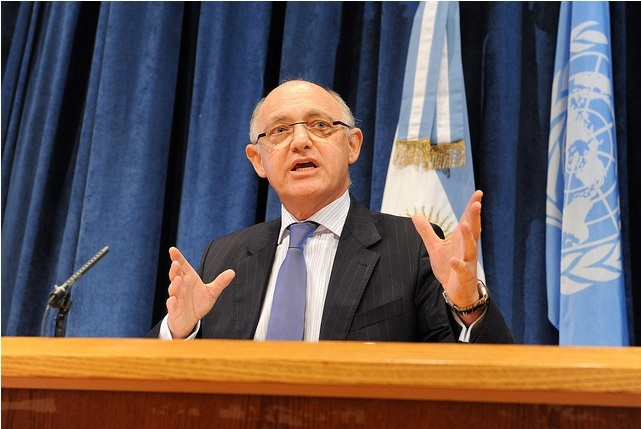 Argentine Foreign Minister Hector Timerman’s visit was cut short however when he refused to meet his British counterpart after William Hague insisted that representatives of the Falklands be present should any discussion touch on the future of the islands. On the 10 & 11th of March residents of the Falklands will be able to vote in a referendum regarding their future political status as an overseas territory of the United Kingdom, a referendum the Argentinian government deems illegal. Timerman argues the Falklands’ people are an “implanted population” dating back to 1833 when Britain asserted sovereignty over the territory. As such any referendum is illegal under UN regulations as “self-determination is only for native peoples and not for implanted populations”. The Argentinian government views Falklands’ residents as Argentine citizens, not British. As such, they plan on ignoring the outcome of any referendum should it counter their claim of sovereignty over territory, despite Secretary General of the UN Ban Ki-Moon confirming in November 2012 that the UK was not in breach of any UN resolutions with regard to the Falklands. The Argentine government has taken a very aggressive line regarding the future of the Falklands, but why? Controlling the Falklands, a small territory 1,200 miles from Buenos Aires, would be a meagre victory for Argentina, yet President Cristina Fernández de Kirchner has made it the focal point of her foreign policy and will not compromise on the subject. When it comes to international politics, history teaches us is that installing an aggressive foreign policy is regularly a method used to avert attention away from underlying domestic problems. Ironically, Thatcher averted attention using this method when Britain went to war over the Falklands in 1982. This case may not be much different. Argentina’s President, Cristina Fernandez de Kirchner, has been very vocal on the sovereignty of The Falkands. Recent years have not been kind to Argentina and its citizens. Recession coupled with poor leadership in the form of its President has been a recipe for disaster. Economically the nation has not fared well, Argentina is on the brink of bankruptcy, and according the World Economic Forum for 2011-2012 the nation ranked 85th out of 142 countries. No doubt this position arose due to the minimal economic growth and record inflation documented last year; independent economists believe Argentina’s inflation stands at 25-26% per year, one of the highest in the world, and much higher than the official figures which peg it at 9.7%. A lack of government transparency has become a clear problem in Argentina, a notion supported by the nation’s position of 102nd place by the World’s Transparency Index. Corruption is rife, and the freedom of the press is under threat; economists whose reports dispute official figures risk losing their jobs, being fined, or even jail time. The government’s falsification of its economic figures has not gone unnoticed however. On 1 February the nation became the first ever to be censured by the International Monetary Fund for fabricating its economic growth figures and underreporting its rampant inflation. As a result of these false accounts Argentinian and foreign investors of inflation-linked bonds have been defrauded of around $6.8 billion since 2007. Should it not clean up its act and its reporting practices by November of this year, the IMF could revoke the nation’s voting rights and access to loans. What is worrying is the inadequate reaction by President Cristina Fernández: her latest move to bring inflation under control, the freezing of supermarket prices for two months, is a weak attempt to help rectify the country’s economic horrors. Moreover, her immediate compulsion to limit economic freedom exhibits parallels to policies implemented by Perón; judging history such a direction is not a good thing. Argentina’s economy currently ranks 158th out of 179 countries in the Index of Economic Freedom, a shocking position that shows government philosophy in Argentina has progressed little since the days of Perón’s dystopia. Although such obstacles should not be insurmountable for the Argentinian government, the situation has been exacerbated by the President’s rapidly degrading approval rating, which has seen a 30% decline. Furthermore, ruptures have begun to appear in her own party, which leaves little hope for the future of the government and that of the nation. No doubt Argentina’s hard-line stance regarding the Falklands is a ploy to avert attention from the nation’s current economic and political hardships, it is a smokescreen to divert its citizen’s gaze from the government’s obvious failings. With the nation undergoing clear difficulties, why is the government still chasing such a small prize in the form of the Falklands? Its chances of success are slim to none, and the territory will do nothing to abate the problems it currently faces. The Argentinian government needs to refocus its attention on more pressing domestic matters, or Argentina risks losing international credibility and further exacerbating its declining economic situation. Regardless of the path taken by President Cristina Fernández however, Argentina faces a tough road ahead.